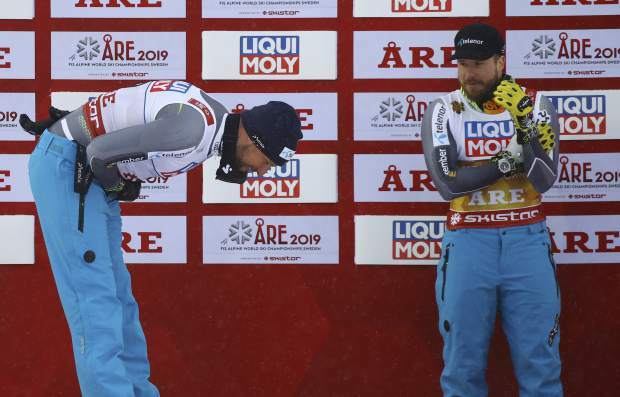 Aksel Lund Svindal of Norway, left, silver medal, and Kjetil Jansrud of Norway, right, gold medal, celebrate after the flower ceremony after the men downhill race at the 2019 FIS Alpine Skiing World Championships in Are, Sweden on Saturday. 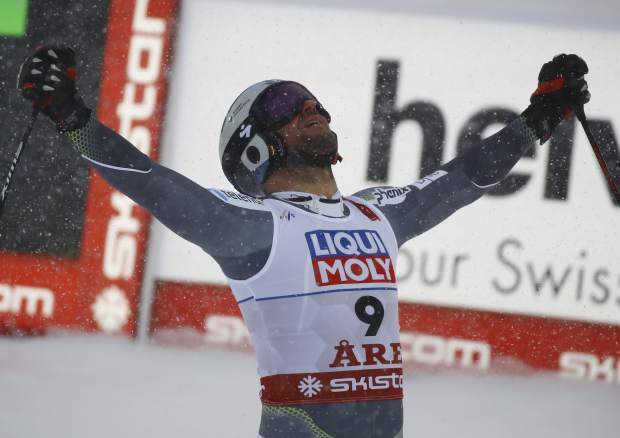 Norway's Aksel Lund Svindal reacts in the finish area after the men's downhill race, at the alpine ski World Championships in Are, Sweden on Saturday. 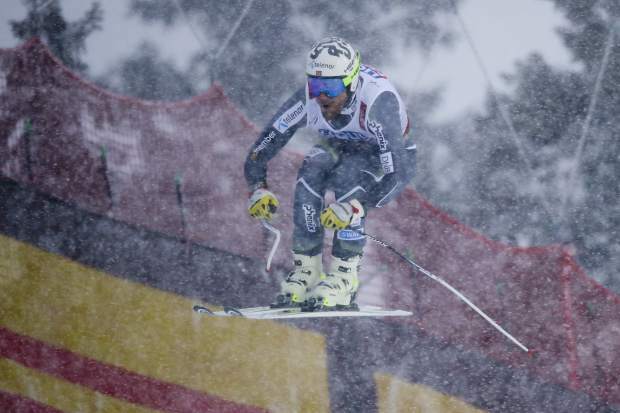 Norway's Kjetil Jansrud competes during the men's downhill at the alpine ski World Championships in Are, Sweden on Saturday. 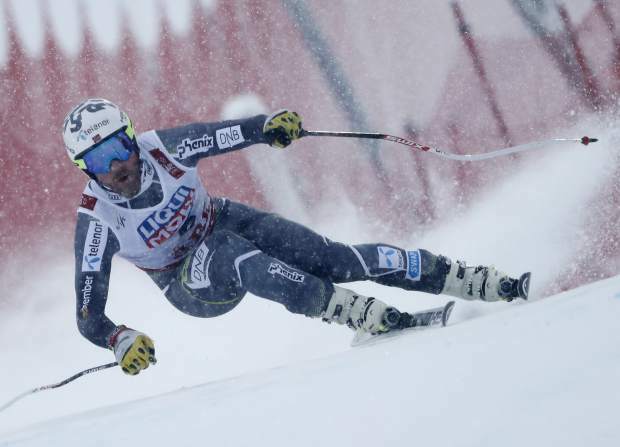 Norway's Aksel Lund Svindal speeds down the course during the men's downhill race, at the alpine ski World Championships in Are, Sweden on Saturday. 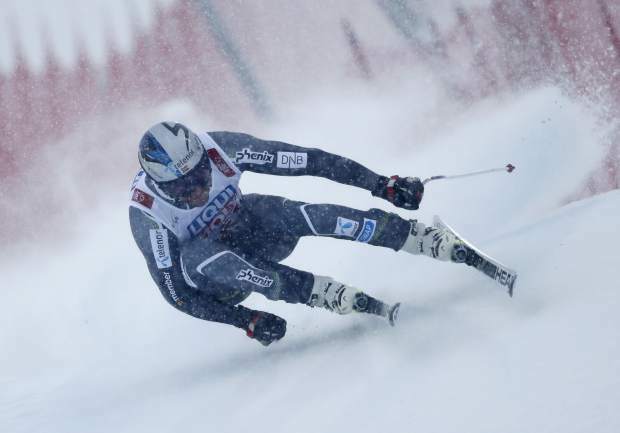 Norway's Kjetil Jansrud speeds down the course during the men's downhill race at the alpine ski World Championships in Are, Sweden on Saturday. 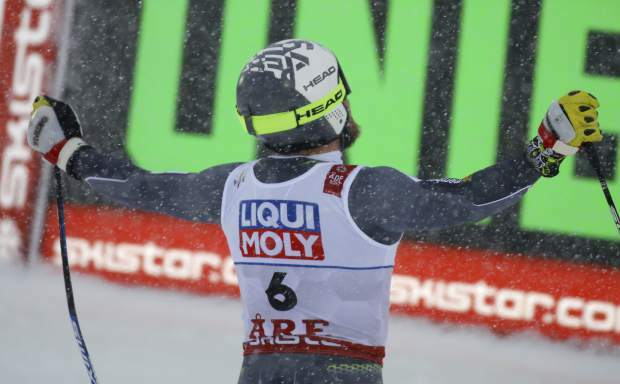 Norway's Kjetil Jansrud reacts in the finish area after the men's downhill race at the alpine ski World Championships in Are, Sweden on Saturday. 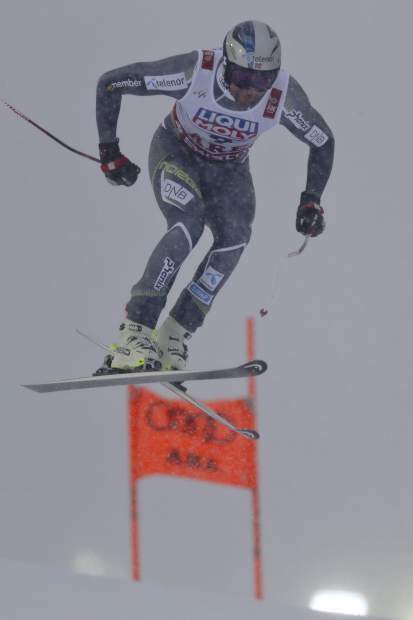 Norway's Aksel Lund Svindal competes during the men's downhill at the alpine ski World Championships in Are, Sweden on Saturday. 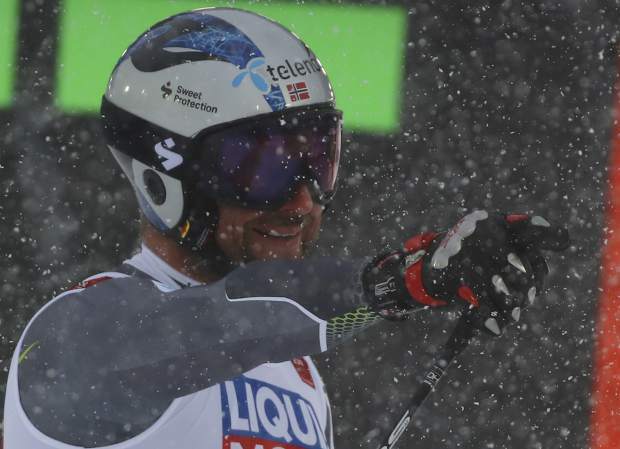 ARE, Sweden — Aksel Lund Svindal stretched out his arms and looked to the snow-filled sky, soaking in a big skiing atmosphere one last time as thousands of flag-waving Norwegians cheered their idol at the finish area.